Peru is an amazing country with a great range of activities if you just want to party your Summer away or you want to experience the excitement of seeing the Amazon, experience spiritual cleansing by a shaman deep in the jungle, see the beauty of enormous amounts of gold used by the Spanish on their historical buildings, or trek the Inca trails and discover early human mythology and technology. Here are some important warnings and tips when travelling to Peru. Make sure you have travel insurance and go today! Visas. Most people do not require a visa, and despite the need for an onward ticket and sufficient funds required on entry, they never really ask. Most visas on arrival should be issued for 90 days however this is at the discretion of the immigration official. The culture of Peru is generally quite polite, especially in formal situations, and by saying ‘good morning’ or ‘good evening’ to the immigration official will normally guarantee this, not doing so may end up in only 15 to 30 days. Don’t worry too much if you overstay your visa, it is normal and common procedure to pay your fine at a departure counter on your exit. The fine is 1USD per day. Arranging visa extensions with the department of immigration is time consuming and redundant. On Tuesday, a day before Ash Wednesday, the Catholicdom goes on silent mode. By this time, the faithful followers are busy preparing themselves for the Lenten season. However, this is something that cannot be said to one of the most popular Catholic countries in the world – Brazil. 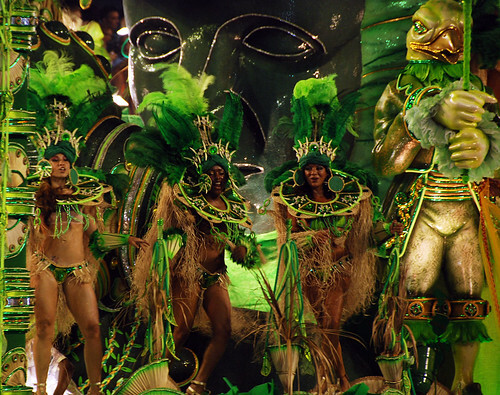 That Tuesday is called their own fat Tuesday, and thousands of people from all over the world will flock into the streets and the Sambodrome for their annual samba parade.